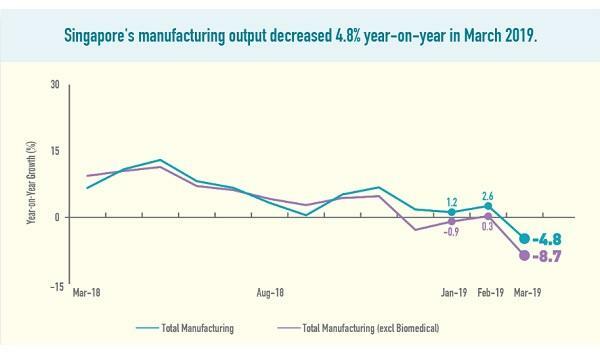 Manufacturing led the growth with an 8.6% advance YoY. 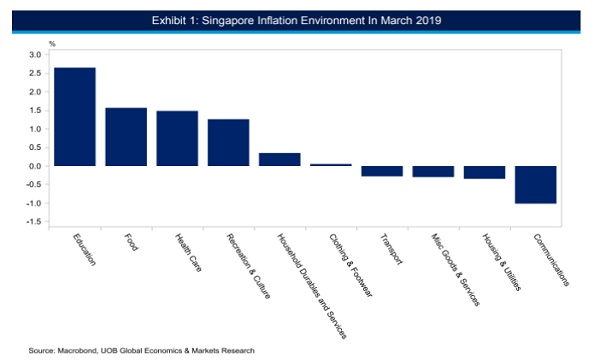 Singapore’s economy grew 3.8% YoY in Q2 2018, lower than economist expectations of 4.1% growth, according to Ministry of Trade and Industry (MTI) advance estimates on Friday. Whilst slower than the 4.3% growth recorded in Q1 2018, the GDP expanded at 1% on a quarter-on-quarter seasonally adjusted annualised basis from 1.5% in Q1 2018. Although slower than its 9.7% rise in Q1 2018, the manufacturing sector led the GDP growth with its recorded 8.6% YoY advance in Q2 2018. Meanwhile, the construction sector growth fell 4.4% YoY, extending the 5.2% decline in the previous quarter. The sector was hit by the continued slump in private sector activities. Growth for the services producing industries rose 3.4% YoY in Q2 2018, cooling down from its 4.0% rise in the previous quarter. The finance & insurance as well as the retail trade sectors primarily pushed the advance was supported primarily by the finance & insurance and wholesale & retail trade sectors. On a quarter-on-quarter seasonally-adjusted annualised basis, the services producing industries grew by 2.%, which is a rebound from its 1.4% slip in the preceding quarter.